Chinese herbs have been used to soothe the bladder for dogs with urinary diseases. Bladder issues in dogs are complicated. Sometimes they occur for no reason, but often dog bladder problems are related to other illnesses. For example, catheterized dogs and those with Cushing’s disease repeatedly treated with steroids are at an increased risk for E. coli-related bacterial urinary tract infections (UTIs). Take them to the vet right away. Dog bladder symptoms could be caused by a UTI or something more serious. UTIs are very common and easily treated. If your pet has chronic UTIs and bladder problems, your veterinarian may recommend supplements that soothe the bladder in dogs. Luckily, many naturally occurring herbs and plants boast soothing properties. These said herbs can help soothe the bladder for dogs with urinary problems, just like UTI. What Are The Herbs That Soothe The Bladder? A supplement including cranberry juice extract, juniper berry, marshmallow root, and uva ursi could gently and effectively help your pup. These are herbs that soothe the bladder gently and naturally. Give your pet herbs to soothe bladder problems if you are concerned with or have experienced unpleasant side effects from other treatments. Many herbs that soothe the bladder have been used medicinally for many years. Uva ursi, known as Arctostaphylos uva-ursi, is known for its uses with kidney and bladder infections. Studies show uva ursi produces antimicrobial activity against UTI-causing organisms such as C. albicans, E. coli, S. aureus, and Proteus vulgaris. Uva ursi is also antilithic, preventing the formation of stones in the urinary tract and removing those already formed. Because researchers have differing opinions on whether antilithic herbs dissolve stones or aid the body in passing them by promoting urine flow to flush kidneys, herbalists recommend using antilithic herbs with demulcent and anti-microbial herbs such as marshmallow root. When giving herbs to soothe bladder problems, marshmallow root must be included. Marshmallow root is an antimicrobial, demulcent, emollient, hypoglycemic and immunostimulant. Demulcents form a soothing film over a mucous membrane, providing relief for inflamed bladders. Additionally, mature marshmallow roots contain as much as 35% mucilage, a gelatinous solution also useful for treating internal mucous membranes. The mucilage provides a protective barrier between the lining of the bladder and irritants. Another bladder health benefit of marshmallow root is its diuretic quality, as it increases the flow of urine, flushing out irritants in the bladder. Supplements that soothe the bladder should contain juniper berry. The coniferous plants are excellent for treating UTIs. Their antibacterial and antifungal properties fight infection, and terpinen-4-ol, a volatile oil component of the berry, helps filter the kidneys. Some studies show juniper berry oil fights bacteria and fungi resistant to antibiotics. Also, the berries’ diuretic effect increases urine flow, flushing out infection by diluting the urine. Juniper berries are additionally anti-inflammatory, providing pain relief for bladder infections and UTIs. Perhaps the most common and popular natural remedy for bladder issues, cranberries have been used for hundreds of years. In fact, Native Americans used cranberries medicinally. What makes cranberries so remarkable? Cranberries get their color from anthocyanins pigments, antioxidants that reduce inflammation and lessen allergies. Proanthocyanidins improve blood vessels and the delivery of oxygen to cell membranes, in addition to boasting “anti-adhesion” properties. In a study of people and mice from 1984, consuming cranberry juice proved successful at preventing E. coli bacteria from colonizing on cell walls. PET | TAO Soothe Bladder supplement was formulated with an optimal blend of herbs that soothe the bladder and help maintain normal urine pH. 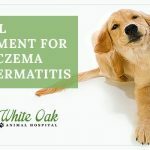 What's A Good Natural Dog Arthritis Remedy?